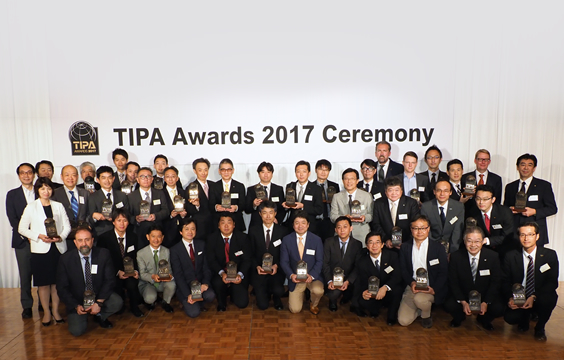 The Technical Image Press Association (TIPA) successfully celebrated the XXVII edition of the TIPA Awards Ceremony on 16 June 2017 in Tokyo, Japan. This is the third time that TIPA has celebrated its awards ceremony in Tokyo. Representatives of the winning companies were welcomed by members the TIPA board and presented with their bronze trophies for the ‘TIPA Awards 2017’. At the end of March, editors from 27 professional, amateur, and business magazines from Asia, Australia, Europe and North and South America, with a delegate from the Camera Journal Press Club in Japan, met in Havana, Cuba to discuss and vote on TIPA Award winners in 40 different product categories. “Underlying the prestige of a TIPA Award is the process by which winners are chosen. Beginning right after the main “trade show season”, stretching from late September through early February of the following year, nominations within categories are gathered by the TIPA Technical Committee. Equipment is tested and evaluated, and new categories, representing emerging imaging trends, are considered. A list of finalists is compiled and sent to editors of the TIPA member magazines from around the world, who then comment and make further suggestions about products that should be added to specific categories. The information is collated and evaluated and a list of finalists is chosen. Winners are then voted upon and chosen at a General Assembly of all member magazines. In order to further develop, TIPA is continually developing its worldwide membership. This year three new members joined, including ‘Luminous Landscape’, the first photographic website in the organisation’s history. TIPA now has member publications from eight European countries plus Australia, Brazil, Canada, China, India and the USA. The CJPC of Japan and TIPA cooperate to vote for the best products for the TIPA awards and the Japanese Camera Grand Prix.